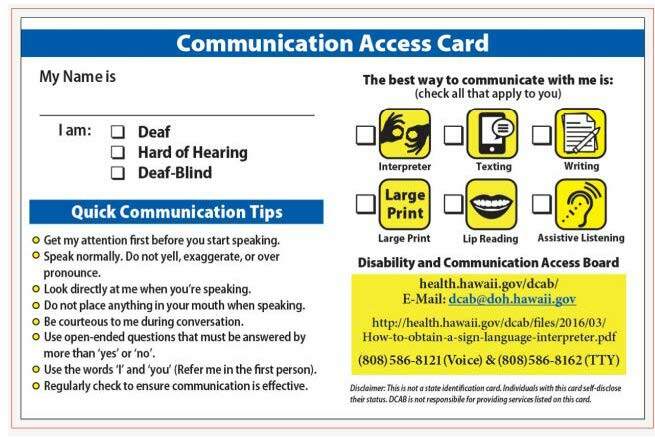 This card was developed to address situations in the past where individuals with communication access needs faced communication barriers and difficulties due to others not understanding that they require other methods to communicate effectively. 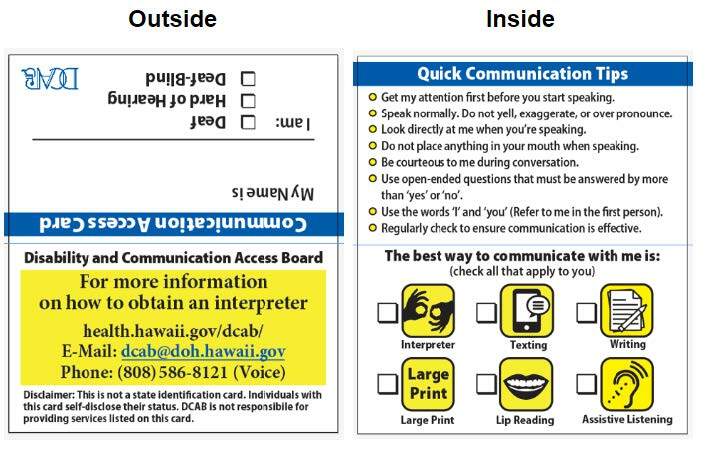 This card will be a tool for these individuals to quickly inform another of their communication needs. The card is available in two sizes. One is a standard business card size (3.5 inches x 2 inches) which easily fits in a wallet or phone pocket. The other is a visor-sized card (8.5 inches x 5.5 inches) to keep in a vehicle’s visor or glove compartment. Individuals are welcome to pick up the card that best suits their needs. 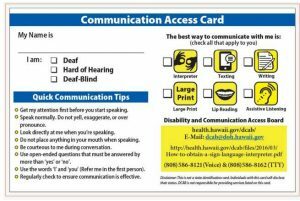 The cards are free for pick up at various locations statewide, including the Comprehensive Service Center for People who are Deaf, Hard of Hearing, or Deaf-Blind and Vocational Rehabilitation offices. A complete list of locations can be found by opening the attached PDF document: CA Card Pick Up Locations. 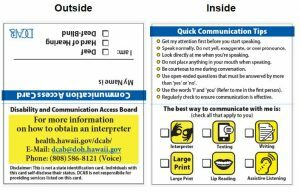 All inquiries can be made by contacting DCAB via email at communicationaccess@doh.hawaii.gov or by phone at (808) 586-8121 (Voice) or (808) 829-3641 (Video Phone).